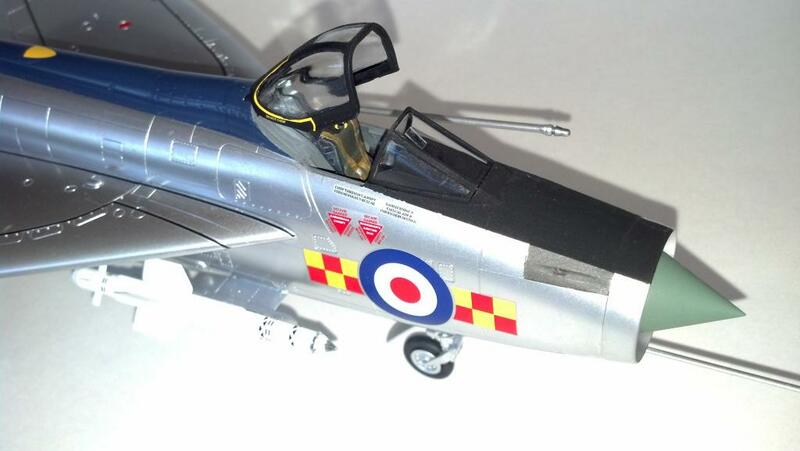 Here’s a few more photos of the Airfix Lightning I posted last week. The camera was feeling cooperative this morning. 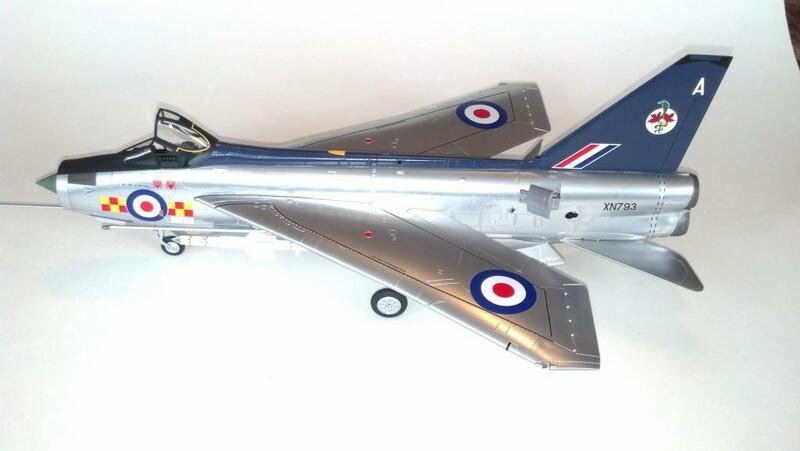 If it’s your first time seeing it, it’s finished with Floquil Bright Silver and various Humbrol enamels. Thanks for looking. 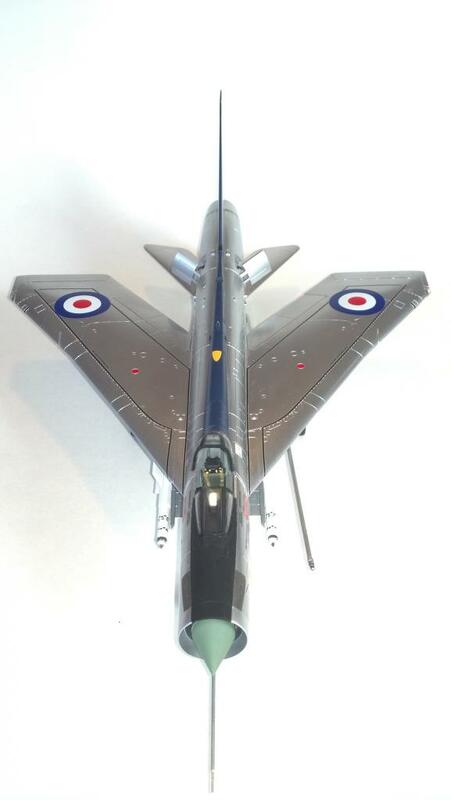 Nicely finished and photographed, John. 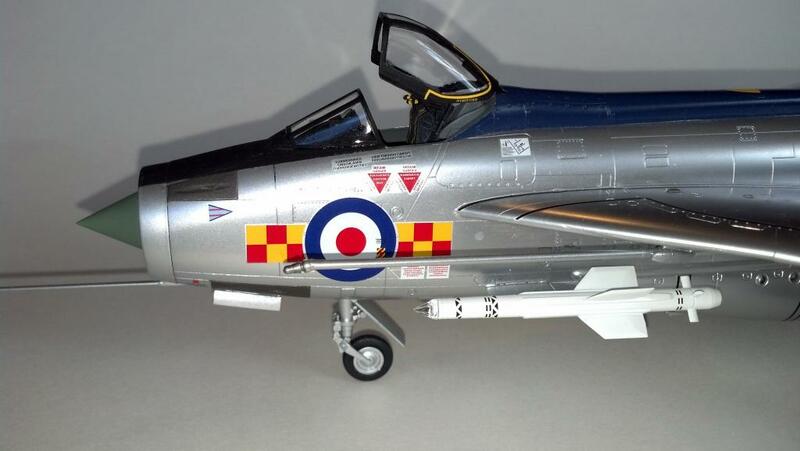 Great looking Lightning, John. Admired earlier images too. Nice pics John, shows off the finish better. Great photos John, really shows her off well. Thank you.John.Your kit deserves to be shown with more than two pics. Looks perfect to my eyes, well done. 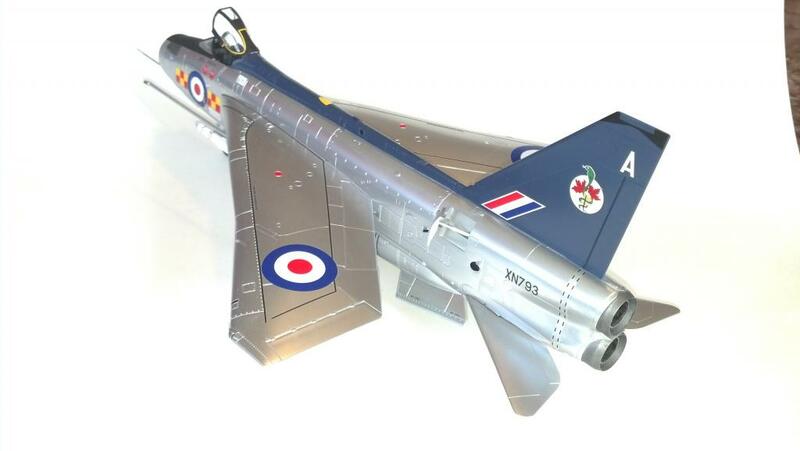 Excellent finish John – is that just Floquil Bright Silver overall? I found a small stash of the Floquil paints recently – Bright Silver, Platinum Mist and a few others. I understand they have been discontinued, but also had heard for several years about people swearing by them for aluminum finishes. I have always used Alclad II, but picked these up to give a try. Yours sure came out nicely. Thanks Paul! Yep, it’s all Floquil Bright Silver. I did buff the nose ring with some old SNJ polishing powder. The Floquil enamel silvers have all been discontinued. The are pretty durable and can be masked more easily then most enamel silvers. They are also pretty easy to apply and are very forgiving. Thin them with Testors airbrush thinner, don’t use lacquer thinner. Lacquer thinner makes them dry too fast and creates a dusty, silver residue that gets everywhere. The original lacquer Floquil silvers were bullet proof. I hoarded about 15 bottles of these enamels when they were dropped a few years back. I’ve seen guys give some models a base coat of Tamiya rattle can silver lacquers and the picked out panels with these Floquil enamels. Best of all, you can tint them with enamel paints. 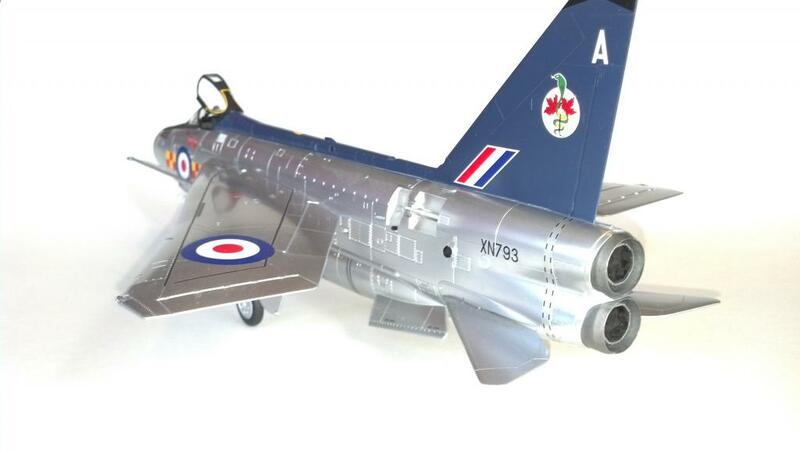 I’m thinking of using this method on an F-84. 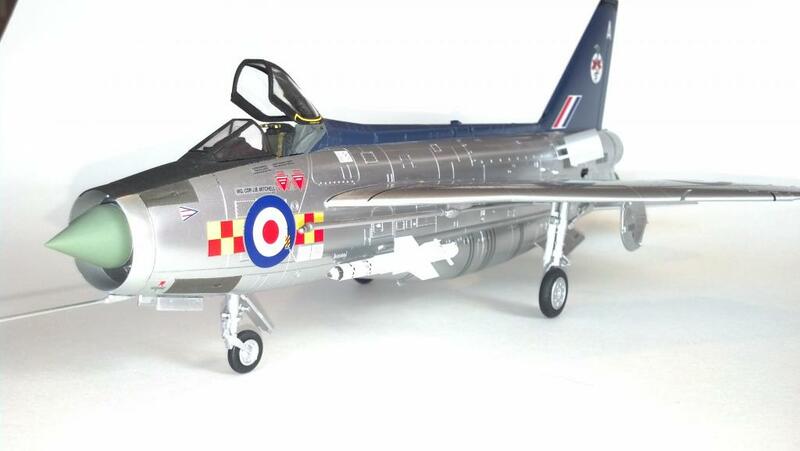 Thanks for posting these extra pictures, John, they show off the finish on your Lightning beautifully. Glad to see the extra photos John. Thanks for sharing another neat build! Keep more coming back ! A belated bunch of ompliments on this build. Great job on a great airplan.